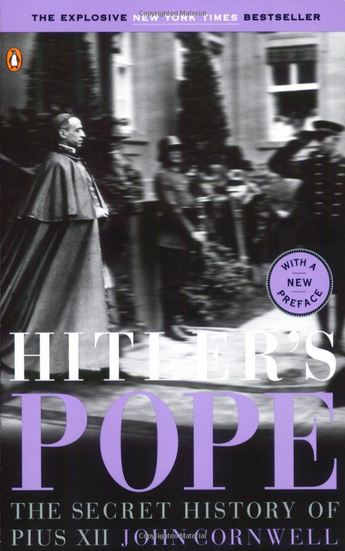 The book I have in my library is by the same name, Hitler’s Pope: The Secret History of Pius XII by John Cornwell. It talks about the collaboration between the office of the Papacy and Hitler in the extermination of the Jews during the Holocaust. One of the characteristics of the ten horns of the Roman Beast is the cooperation in some way, of the imperial power with the spiritual power which came to represent or be represented by the office of the Papacy. That Hitler and the Pope cooperated is an important factor in determining whether Hitler was in fact one of the ten horns. I have not read this obviously. I will let you know as soon as I do. What is the takeway? 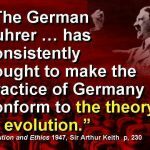 Well, the books and documentary were written to expressly debunk John Cornwall’s book, Hitler’s Pope. First Things is a Catholic publication. But National Geographic, presumably, is not. That there is so much still written about this after all this time, means that the question still persists of the Pope’s involvement. We do not want to bear false witness, so we might not ever be able to say who is right in a battle of he said / she said. 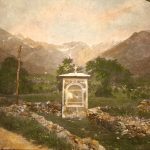 But we see here even in the 20th century, the previously established pattern of connection and cooperation between Church and State with the end result in the fulfillment of the prophecy, no matter who intended what.